Two studies were carried out to examine the impact of maternal fipronil exposure on embryonic and offspring development. In the first study, breeding female zebra finches were orally dosed with single sublethal levels of fipronil (1, 5, and 10 mg/kg body weight) to determine behavioural and developmental consequences on chicks following maternal pesticide exposure. Significant levels of fipronil and fipronil-sulfone residues were detected in eggs laid by females in all dosed groups, however, these were undetectable in eggs laid 13 days after treatment. The level of sulfone detected in eggs was consistently higher than that of the parent fipronil compound. Of the seven eggs laid in the treatment groups, only one (14%) chick hatched and this was from the lowest dose group. This chick was severely underdeveloped at 10 days of age in comparison to control chicks and fiproles were detected in brain, liver, and adipose tissues collected following euthanasia of this individual. In contrast, there was 100% hatchability of control group eggs and all chicks fledged nests on schedule. In the second study, domestic chicken eggs were injected with 5.5, 17.5, and 37.5 mg/kg egg weight of fipronil directly into the yolk sac on day 12 of incubation. Treatment did not affect hatching success, however, behavioural and developmental abnormalities were observed in hatchlings from the highest dose group. These chicks also demonstrated reduced feeding rates, as indicated by reduced body mass at 48 h period post hatch. 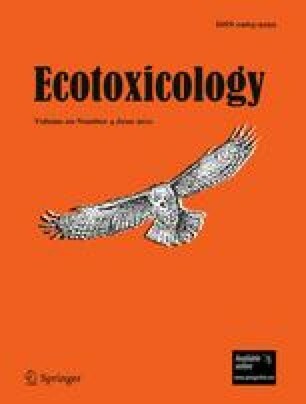 Both fipronil and fipronil-sulfone residues were detected in brain and liver tissue of hatchlings at all pesticide dose levels tested. We thank the Australian Research Council, the University of Wollongong Institute for Conservation Biology, and the Australian Plague Locust Commission for supporting this research. We also thank Professor Tom Scott from the University of Sydney’s Poultry Research Unit for provision of fertilized chicken eggs. Thanks are also due to members of the Physiological Ecology lab (University of Wollongong, Australia) for their helpful discussions and providing assistance in caring for birds.